I just got back from Oakland’s Red Door Gallery. 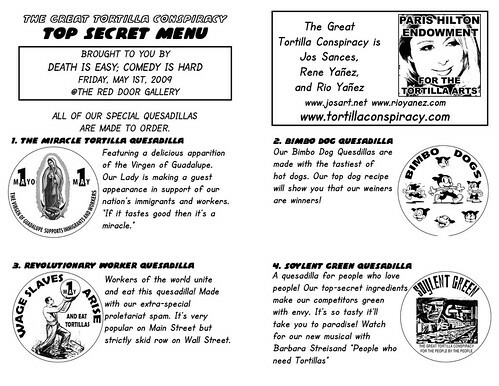 The Great Tortilla Conspiracy held an event during the reception of Death is Easy; Comedy is Hard and it went great. Jos, Rene, and I continued with our recent practice of making quesadillas with our tortilla art and serving them as something to eat to the public. This time we took it a step farther and created a menu for the event. Things went really well tonight, especially considering how wet the weather was. 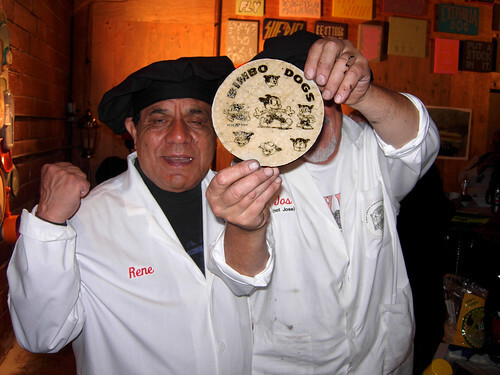 The menus were a big hit and we served over 150 tortillas and quesadillas to the public during the four hour event. The images that we silkscreened this time were created by Jos and Rene and I created the menus. 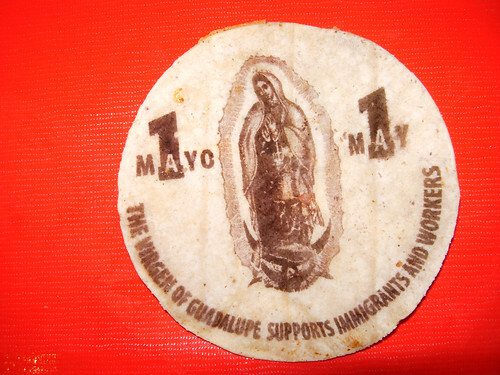 They had labor and immigration themes to concide with the May 1st related events happening around the city. Check out some images and artwork below. Last but not least I wanna give an extra-special shout to my homegirl Cindylu. She was in town from L.A. and surprised me at the gallery. In between me serving up quesadillas we got a chance to catch up a little bit and check out the exhibit. 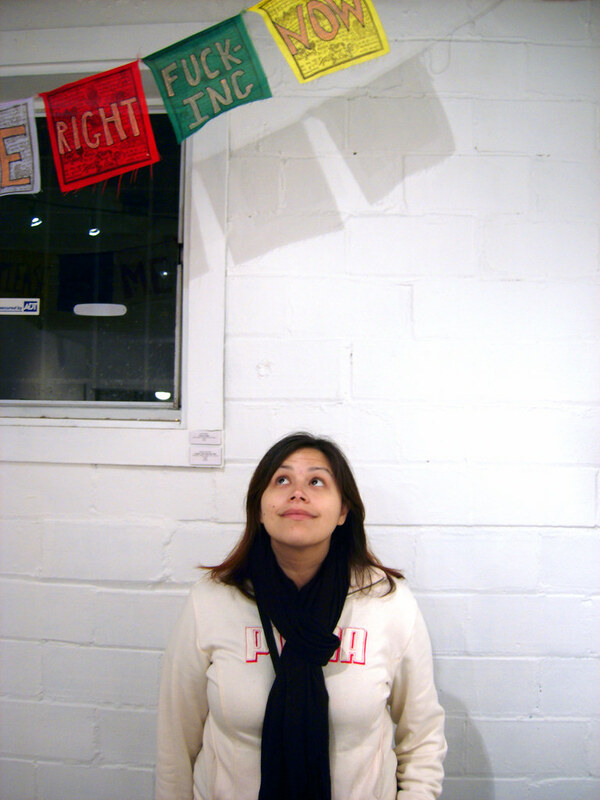 While we were walking around I shot this photo of her standing under part of an installation and it’s my favorite photo of the night. 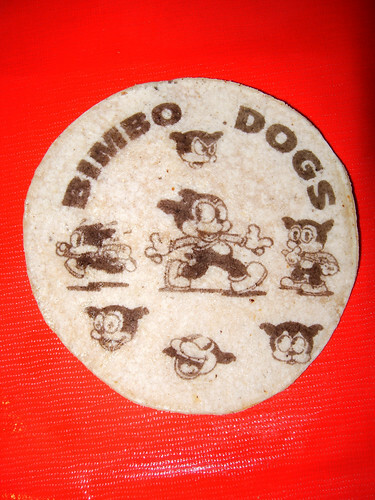 The Great Tortilla Conspiracy will make their return during this event on Thursday, May 7th. More details on that coming soon! Thanks for the quesadilla and the tortilla. I will cherish it!